This was a lot less straightforward than I expected. So I’m posting the incantations here in hopes it’ll save others some time. 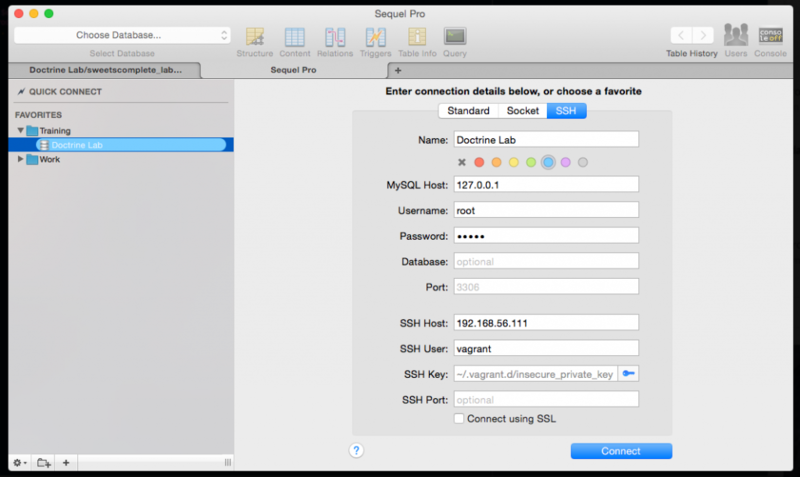 Sequel Pro is a very capable Mac-based, open source, MySQL client. One of these many capabilities is to tunnel via SSH to another server. In this case, we’re going from your host machine (an OSX desktop), to your Vagrant guest machine, to access the MySQL database server there. If you don’t currently have a Vagrant machine on hand, try Puphpet.com.